Tiny Mesh No-See-Um Window Screens Custom Made to Fit Most Windows. Our custom No-See-Um window screen is the top selling insect screening in coastal regions. No-See-Um insect screen keeps out even the tiniest insects and bugs. Due to its effectiveness in stopping mosquitoes No-See-Um screening is becoming popular in non-coastal areas with West Nile, Malaria or other diseases carried by mosquitoes. No-See-Um insect screen stops the tiniest bugs such as biting midgets, midgies, sand flies, punkies and other small bugs that are capable of carrying viruses, protozoa and filarial worms. Members of these tiny insect families are capable of passing through the weave of your typical standard screen mesh, but not No-See-Um Screen mesh. Protect your family and pets with No-See-Um screens. 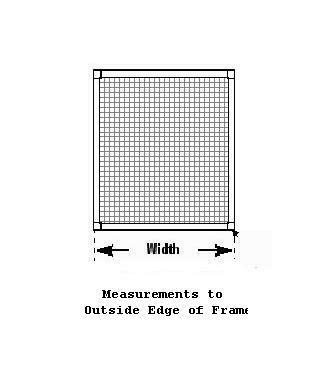 No-See-Um Screen mesh is a mesh openness of 59% or less per square inch. It has an average aperture of .0027 (that is the opening between each strand). It is also the same mesh used in the Solar Insect Screens and will block up to 65% of the sun’s radiant heat. 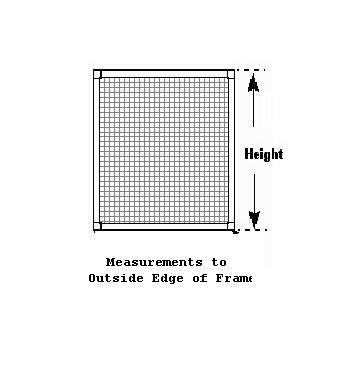 The No-See-Um screening 20x30 mesh count with a .011 diameter yarns is what we use on our custom screens. No-See-Um 20x20 mesh count with a .013 diameter yarn is typically used on screening in patios, porches, decks, and gazebos. 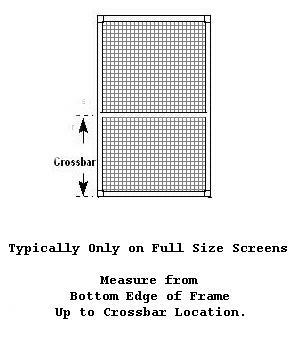 Our No-See-Um screens are factory made with aluminum frame, and internal mitered corners. 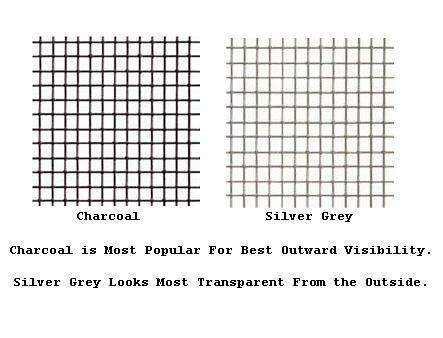 Your color choices are charcoal or silver grey in the tiny mesh No-See-Um insect screening fabric. The tighter weave vinyl coated fabric keeps out the smallest of insects. 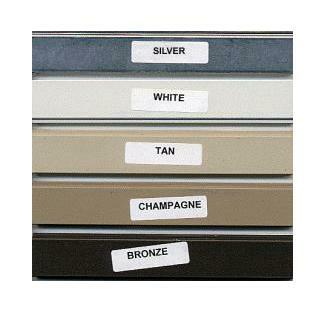 You have five frame color choices; white, silver, bronze, tan and champagne with a wide selection of attachment hardware. Quality New York Wire or Phifer Screen, .020 mil. Frame. Save Up To 50% OFF With Quantity Discounts as Listed Below. 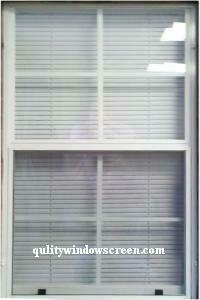 Order custom No-See-Um window screens today! Width Inches Select 10 11 12 13 14 15 16 17 18 19 20 21 22 23 24 25 26 27 28 29 30 31 (+$0.40) 32 (+$0.80) 33 (+$1.20) 34 (+$1.60) 35 (+$2.00) 36 (+$2.40) 37 (+$2.80) 38 (+$3.20) 39 (+$3.60) 40 (+$4.00) 41 (+$4.40) 42 (+$4.80) 43 (+$5.20) 44 (+$5.60) 45 (+$6.00) 46 (+$6.40) 47 (+$6.80) 48 (+$7.20) 49 (+$8.60) 50 (+$9.00) Help? 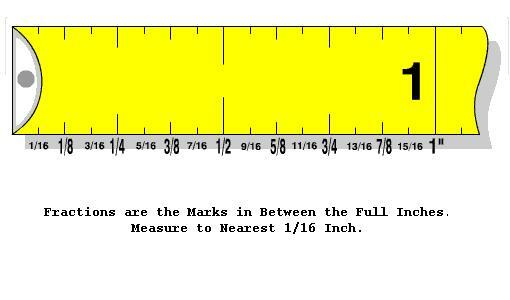 Height Inches Select 10 11 12 13 14 15 16 17 18 19 20 21 22 23 24 25 26 27 28 29 30 31 (+$0.40) 32 (+$0.80) 33 (+$1.20) 34 (+$1.60) 35 (+$2.00) 36 (+$2.40) 37 (+$2.80) 38 (+$3.20) 39 (+$3.60) 40 (+$4.00) 41 (+$4.40) 42 (+$4.80) 43 (+$5.20) 44 (+$5.60) 45 (+$6.00) 46 (+$6.40) 47 (+$6.80) 48 (+$7.20) 49 (+$7.60) 50 (+$8.00) 51 (+$8.40) 52 (+$8.80) 53 (+$9.20) 54 (+$9.60) 55 (+$10.00) 56 (+$10.40) 57 (+$10.80) 58 (+$11.20) 59 (+$11.60) 60 (+$12.00) 61 (+$12.60) 62 (+$13.00) 63 (+$13.40) 64 (+$13.80) 65 (+$14.20) 66 (+$14.60) 67 (+$15.00) 68 (+$15.40) 69 (+$15.80) 70 (+$16.20) 71 (+$16.60) 72 (+$17.00) 73 (+$17.40) 74 (+$17.80) Help? Screen Color Charcoal Show Colors? high quality screen. Happy with speed of delivery. Thank you. Screens arrived on time and very well packaged. High quality construction and they fit perfectly. Would definitely order again. Awesome service and the screens fit perfectly! We ordered screens for our entire house. We bought a new house and didn't realize the windows didn't have and screens. The screens were delivered quickly and matched our measurements perfectly. One screen was damaged during shipment. I took pictures of the box damage as soon as I saw it and then I took a picture as I opened the box you could see where the screen was damaged while still inside the box. I contacted the company and they sent out a new screen immediately at no cost to me. I also did not measure well enough on some of our windows. 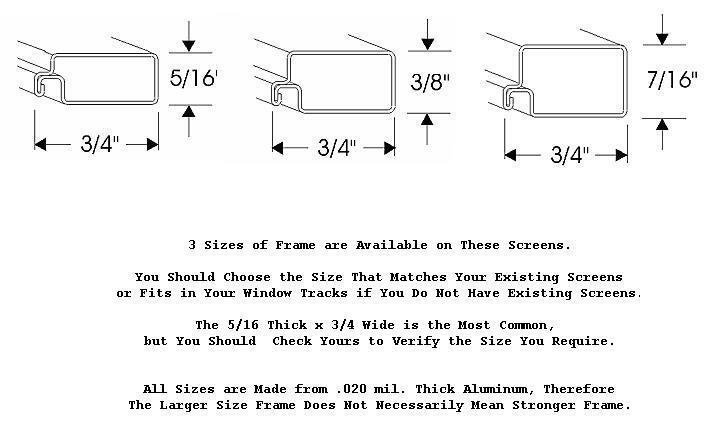 The company sent me step my step instructions on how to adjust my screens to a smaller size. I was able to adjust all the screens and get everything fit. It was a very easy to get the screens adjusted. The adjustments were all due to me mis-measuring so please take your time and measure twice. quality and workmanship of the screen i ordered was impressive. Beautifully made screens, reasonably priced, shipped very fast & helpful customer service. Completely satisfied. 5 star Quality ! was a little Leary due to i was measuring the dimensions myself, and if it they were correct. once ordered my, order was easily trackable once it was completed. when the screens arrived they were well packaged and protected. once installed the screens were correctly measured, fit like a glove, well built nice and tight corner seams etc. 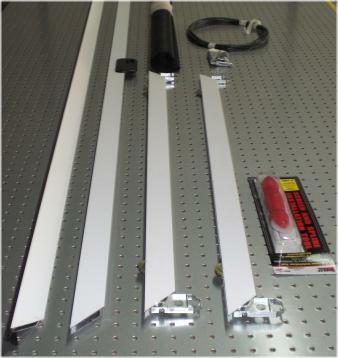 if screens needed ever again i will order them without hesitation from quality screen. We ordered new screens to replace old Anderson Window Screens. The fit was great and the order was filled promptly. The screen fit perfectly and was delivered promptly, considering that it had to be custom made first. I'm satisfied with my purchase and would buy from this company again - they really are screen experts. Thank you. Fantastic product. Well-priced and very effective for knocking down the heat and reducing visibility from the street.